Transformers: Devastation is ranked in the 70th percentile of games scored on OpenCritic. Platinum's brisk and breezy take on the 1980s Transformers cartoons is a joy, albeit one that wears itself out a little too quickly. Transformers: Devastation is a fantastic trip down memory lane for fans of the Generation One cartoon. As a video game, the combat is extremely satisfying, if not a tad repetitious. This game feels incomplete in some areas, like there should simply be more of it. That makes it hard to recommend to anyone not completely gaga over the cartoon. However, for anyone who grew up with Prime and Megatron constantly butting heads, this is a must-have title. I just hope Platinum gets the time to do a proper sequel, and really flesh out the incredible template they have created. As well as being the most unabashed Transformers fan-service games have given us yet, it's also a slick, exciting, hyper-fast punchy-shooty game in its own right. It's dumb as a box of Dinobots of course, but it's not even trying to be otherwise – and that's why its simple, colourful enthusiasm for robot-bashing is so infectious. Outstanding combat. Plenty of familiar faces and foices. Camera has issues. Repetitive environments are repetitive. The game ends. The cloest gaming has come to a playable Generation One Transformers cartoon. 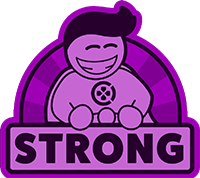 A solid, if unspectacular, hack-n-slash game that honors the subject material and respects its fans. Transformers: Devastation gets an Energon powered recommendation from us. Transformers Devastation is a great game if you like loot, tweaking stats, high velocity chase sequences, and brawling battles. The game is chock full of features and extras that show the source material was revered by the developers. Games like this deserve the extra time you will sink into it to complete the trophies/achievements. Building up your Autobot your way is empowering and a great compliment to what The Transformers are all about. Transformers Devastation is the most epic Transformers game. Transformers: Devastation is a rare gem that never lets off the gas. When other games try too hard to be more than they are Devastation truly is more than meets the eye. Otherwise, Transformers: Devastation is a pure form of fun and entertainment, and there are simply not enough games like this out there. I hope this is the commercial success it deserves to be, and Activision spins its rights to the franchise this way into the future. Transformers: Devastation is a fully realised and unbelievably accurate adaptation of the autobots. It feels exhilarating to dart about the world and even better to destroy it. I'm not even sure if there are G1 fans out there anymore. It shouldn't be a deciding factor when picking up Transformers: Devastation though, as it's a great action romp by any right. Just be ready to deal with a few nitpicky issues. Transformers Devastation is a loving homage to its '80s cartoon source material that features the slick and satisfying combat we've come to expect from PlatinumGames. Shame it's so bloody short, though. Get ready to have your energon blown, baby-bots, because there's so much more to this than meets the eye. Fans of action adventure games will love this title. Even if you've never heard of, thought about, or enjoyed Transformers in the past, its simple, perfectly balanced mechanics and jaw dropping combat will keep you coming back for more. That's not to mention actual fans of the Transformers franchise, who should be really excited for this game. Not very varied, but if you're thirsty for G1 Transformers, you can't find a better brawler. Transformers: Devastation has been a pleasant surprise to PlatinumGames recent lineup. The Legend of Korra featured a similar combat system, but the rest of the game lacked polish. Yes, environments are still repetitive, and textures are lacking in certain areas, but the engaging, dynamic combat system, rocking soundtrack and use of the Transformers license ensure Devastation is an enjoyable experience for fans and newcomers to the series. A brief but engaging character action game, Transformers: Devastation succeeds mostly as a nostalgic treat for Generation 1 fans and anyone who can appreciate a little giant robot action. With respect to the excellent Cybertron series from High Moon Studios, this may be a short experience but it's one so densely packed with nostalgia, non-stop action, and attention to detail that I couldn't help but fall in love. It has its minor weaknesses, but they're not enough to override an enthusiastic recommendation if you're a fan who can't enough Transformers in your life. While Fall of Cybertron remains the pinnacle of the world of Transformers, there's no denying that Devastation fits right in. Platinum has made a great debut in the series, packing over-the-top action with a presentation that stays true to the form of the 80's cartoon. More content would've been nice (along with a more meaningful weapon system), but there's enough rock-em sock-em here to please any Transformers fanatic. Despite a few issues, "Transformers: Devastation" nails close combat with its Bayonetta-style mechanics as well as the best integration of robot and vehicle modes in a Transformers title's gameplay. Add a heavy dose of nostalgia with its G1 characters and you have a worthy addition to the Transformers gaming catalogue for fans both young, old and in midlife. A typical Platinum game, that does justice to the Transformers licence. Transformers Devastation is a great example of how to take a licensed property and turn it into a quality title. While the game is a little on the short side, it's strong from start to finish. Generation 1 fans have every reason to be excited for this, as it's not only lovingly crafted but it's also a genuinely enjoyable game on its own merits. From its stunning visual presentation to its immensely gratifying combat system, this is worthy of wielding the Matrix of Leadership. We recommend transforming and rolling out to your nearest store to pick up a copy. Non-fans will find an competent, if short, beat 'em up which is perhaps a little over priced, but die hard fans will be yelping, punching the air and reliving their childhoods by transforming in to a semi truck and chasing Ravage as he pounces across Cybertron. I loved every single second and hope it sells well enough to get the sequel teased by the end credits. This is by far the best Transformers game that has ever been made. Transformers Devastation is a blast to play while it lasts, and expertly blends elements of Bayonetta and Metal Gear Rising, but packages it in a way that makes it come off as completely unique. Fantastic looking brawler made by a team that understands the source material and the fans. Transformers: Devastation's fast-paced, action-packed gameplay is really appealing to both fans of the franchise and others who just want to have some fun. All this being said, Devastation isn't just an '80s throwback in the character designs that it uses. Higher difficulty levels can get punishing, and the focus on core gameplay mechanics might put off some players. It's a rewarding experience for anyone who can get into the groove, but the combat and the franchise are the game's two biggest selling points. No game yet has quite captured the look and feel of the only real Transformers experience quite like Devastation. The fact they added a brilliantly entertaining combat system and an engaging bit of looting on top is a very welcome surprise. The best Transformers game so far but, more importantly, a hugely entertaining and original action game that is one of the most uniquely entertaining releases of the year. Transformers Devastation is a great action game marred by a few design hiccups. Camera issues can make combat a chore, but that combat is extremely satisfying at its core. Fans of cartoons, action games, comics, Transformers, and fun will likely have a good time with Platinum's latest. Is it the best they've done? No. Is it still a good time? Heck yes. 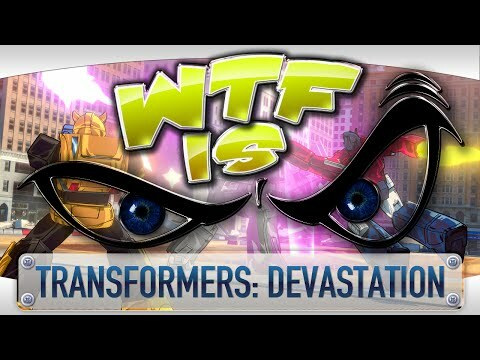 Transformers: Devastation is an experience for those who already love the franchise and the idea of big robots punching each other, and in many ways it feels like an attempt to show that if one ignores the modern movie series, the Autobots versus Decepticons series can be both fun and well-suited to the video game treatment. Devastation isn't perfect, but many criticisms are obvious and inherent to the genre, or what the game could ever be. I'm not going to lie, Transformers Devastation was so much fun that it might as well have tattooed a smile on my face. From the moment the 80s themed main menu appeared to the sustained wails of the guitar solos over the ending credits, I was grinning like a Cheshire Cat. A couple of niggles in the game stopped me scoring it higher (the camera frustrations and the length are the two key things for me), but at it's core it's a very impressive game. It looks like the TV show, it sounds like the TV show (albeit one relayed via a Kerrang compilation), and it plays like Platinum's best. A fast paced, riotous action game that grabs hold of your nostalgia and refuses to let go until you're done, it's worthy of your time if you have even the slightest affinity for either these types of games or the Transformers license. It's just a shame there isn't more of it. 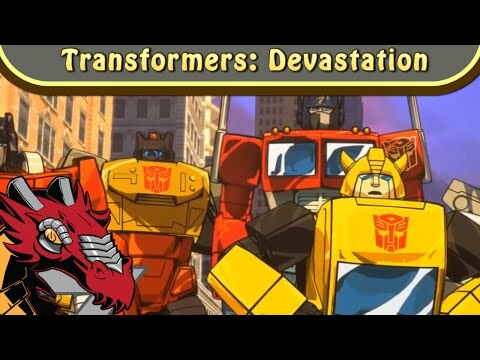 I'd have to go back to the PS2 days to find a 'Transformers' game that was as faithful and fun as 'Transformers: Devastation,' and I think 'Devastation' has the edge in both categories. 'Devastation' is a wonderful counter-point to both the checklist openworld games and the endless parade of indies that are flooding the consoles. Not since I first watched the 20th Anniversary Movie DVD has my Transformers nostalgia been so engaged. The game is a must for fans. Devastation takes some of the best pieces of Bayonetta and throws them in a package you can feel unadulteratedly good about while also producing the best Transformers game yet. It's not perfect and it has certain flaws, yet this is still an undeniable blast from start to finish and will invite gamers to come back for seconds because Platinum Games' action stamp is just pitch perfect. Hopefully the partnership between these teams will continue and consistently deliver such wonderful action games for years to come. After the failings of our last Transformers outing; Rise of the Dark Spark, it was only natural for Activision to be a little low-key with this latest instalment. But while you won't find an in-depth story or gameplay, Platinum Games have brought back the fun factor with Transformers: Devastation with added nostalgia to boot. Short and sweet, Transformers: Devastation wears its nostalgia proudly and has plenty of charm packed into those few hours of high-energy action. But it might be worth a wait to scope it out when it goes on sale, instead of paying full price. Transformers Devastation is not quite Platinum's A-game material, but it's more than we could've ever possibly expected from a franchise tie-in. A tad anemic and weighed down with extraneous systems, but a damn fine experience nonetheless. Transformers Devastation's nostalgia-fueled fisticuffs are a fun way to revisit the classic TV show. Sophisticated combo-based combat delivers a fast and furious barrage of action, but the gear and perks systems left me wondering why they were there at all in a game all about over-the-top boss fights and robot dinosaur beatdowns. As a simple, no frills beat-em-up there's not really anything to fault Transformers Devastation, but those after greater depths may come away disappointed. This is magnified by the short running time. Transformers Devastation is slight in the extreme. I wasn't exactly blazing through but my playthrough took roughly five hours, which is remarkably short for a £32 title. If you're into chasing better ranks or tackling the challenge mode then I don't hesitate to recommend Transformers Devastation, but if any of those points set off alarm bells then I'd definitely wait and pick it up in a sale. At £32 it's okay, but at £10 it would practically be a must-buy. With all of this thrown in, the game still only clocks in at around 5 - 6 hours - which is short considering there is no multiplayer to back it up. It does include a number of Challenge missions, where players can revisit scenarios and take on waves of enemies to best their time and high score, but overall the game is short-lived. It is action-packed however, and combined with the amount of 80's Transformers fanfare added in, it's a decent experience for anyone who still remembers Soundwave as a retro cassette tape deck. If you're a fan of Transformers or even a Platinum games fan, I'd recommend picking it up. If you're looking for something with more complexity to it, you might want to wait for a sale to come up before you consider buying it. Like a robot in disguise, Transformers: Devastation is a really good game that could have been potentially great. Sadly, there isn't more than meets the eye to Platinum's effort, but what is included is superb. It's just too bad there isn't a little bit more of it. Transformer's Devastation is a fun beat 'em up that properly utilizes nostalgia to enhance the experience. It's hampered by a mediocre-to-boring story and repetitive environments, though. Transformers: Devastation may not be a perfect game, but its nostalgia factor is significant enough to make it a must-buy for old school fans of the franchise. Transformers Devastation is short, lacks depth, and can be a bit repetitive, but Platinum's tight combat paired with the old-school aesthetics keeps it fun. It may not be the dream Transformers game that some imagined, but it's worth a play, perhaps after it goes on sale. If you're a Transformers fan who grew up with the original 1980s universe, Devastation is gold. Everyone else should take this game under advisement. While the combat is undoubtedly satisfying and rewarding, the sense of repetition, the last-gen visuals, and the brevity of the adventure feel more matched for a budget price. We suggest waiting for a sale and a nostalgic craving for Saturday morning cartoons. That's when you have our full permission to transform and roll out! As with many of Platinum's other game's, Transformers: Devastation can be a challenging experience, even on its lower difficulties, but once you become used to the enemies attack patterns and when to dodge incoming attacks, each fight becomes a rewarding flurry of colour and crunching metal. The cel-shaded graphics and classic voice acting cast make the title great for those looking for some nostalgia. Unfortunately, the short story and the sense of repetition hold the title back from being what it truly could have been. Transformers: Devastation isn’t just a good Transformers game, it’s a good game period. More depth and environments would benefit the game tremendously, but as it stands right now, it’s one title for both Transformers and Platinum fans alike. Transformers: Devastation fails to fire on all cylinders, as the game is too short, and boasts a small choice of characters to play as. Transformers: Devastation is a very solid installment in the franchise that lends itself to excellent fan-service and strong core gameplay, though its technical and design-based drawbacks do hold its basis back from achieving greatness, rather than hovering in between the upper echelon of decent to good. Combined with the fact that the game does seem a little light on content, Transformers: Devastation remains a solid title, but not one that should be bought at the price its being offered at. Transformers: Devastation is essentially fan-service. Only Transformers fans would have the patience to persevere with the repetitive enemies, the arduous Boss Fights, the fiddly customisation and the levelling system that only really rewards players who stick with one Autobot throughout the campaign. Admittedly it's pretty good fan service – the best since War For Cybertron – but if you neither interested in deep brawlers or someone who can tell their Arcee from their elbow, you might be forgiven for wondering what all of the fuss is about. What Transformers Devastation lacks in content and depth, it more than makes up for in pure entertainment with a slick presentation, wonderful fan-service, and hectic gameplay that should please any Transformers fan. While it's easy to recommend this title to any die-hard Transformers fan, to more casual players it would be a harder sell. I'd warn you to approach with caution — even though you'll experience a fun and nostalgic game with enjoyable combat, don't expect to avoid a few hiccups along the way. Transformers: Devastation plays it safe when compared with other Platinum Games titles. It borrows and streamlines gameplay mechanics from other games, but makes the experience satisfying nonetheless. Devastation leverages the Transformers license masterfully and delivers tight, satisfying action with incredible flair. Honestly, I had fun just driving around trying to do donuts, and at one point, I randomly picked up a taxi and threw it over a building just for laughs. That's pretty great. And when that perfect rockin' soundtrack kicks in as you face off against Megatron, that's even better. It's not devastating, just disappointing for what it appeared to be and what it could have been. This is Bayonetta dressed up in robot clothes, which is a Very Good Thing. Brilliantly playable, and full of Transformers fan-service, only its brevity and simplistic level design let it down. Transformers: Devastation is a solid and fanfare-filled beat 'em-up, but repetitive gameplay and a lack of variety keep it from being great. Platinum Games' take on Transformers is an interesting and welcome change of pace for the property. The developer's brand of polished, fast-paced, flowing combat feels right at home in the Transformers universe. For fans of the original cartoon series, this is a can't miss title even if its beauty is only skin-deep. Overall, the game is great for fans of the early Transformers series...but is only great for them. I don't fall in this demographic, so I found the game to be mostly lackluster and boring. It felt like a chore playing a game about kickass robots simply because I hardly recognized most of the references they tried to make. I'm happy Transformers Devastation exists and thoroughly enjoyed the time I spent with it, but it's not quite the game I imagined as an idealistic child. And it's four hours long. Controller in hand I can stand up to them with the courage and obstinance of a ten-year-old, drunk on the energy pouring into my consoles from I know not where. I'm pretty sure my kids will deal with it eventually, one way or another. Solid, but could have been so much more. Platinum Games isn't interested in tricks. Instead, they expect the player to rise to the occasion.